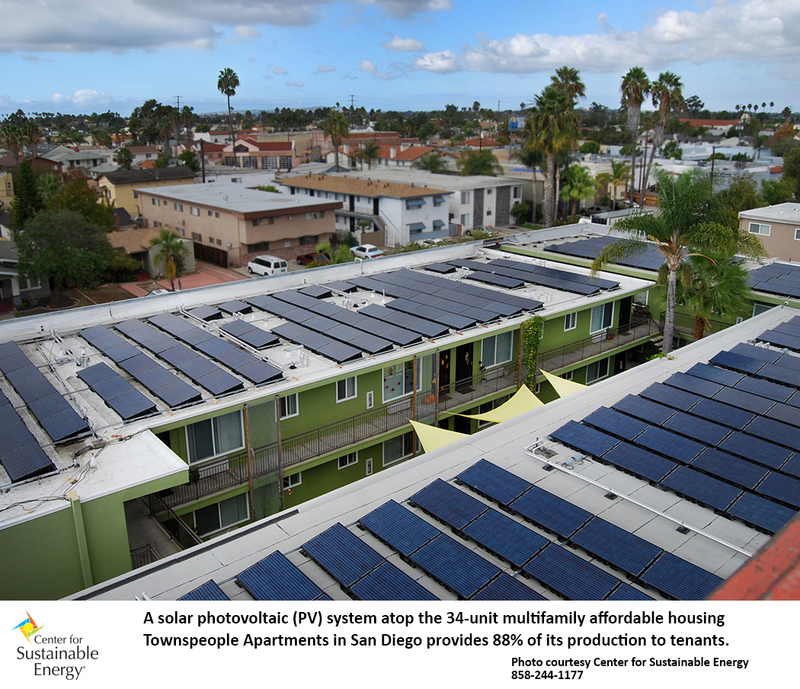 The California Housing Partnership is part of a team of leading clean energy and affordable housing organizations in California to run the new Solar on Multifamily Affordable Housing (SOMAH) program. The California Public Utilities Commission (CPUC) initiative will provide up to $100 million annually for 10 years to fund solar energy installations on multifamily housing serving low-income and disadvantaged communities throughout the state, with a goal to help reduce energy bills for residents. The SOMAH Program Administrator team includes the Center for Sustainable Energy, Association for Energy Affordability and GRID Alternatives, with implementation assistance from the California Housing Partnership Corporation, Rising Sun Energy Center and California Environmental Justice Alliance, among others. The CPUC Energy Division selected this team based on their long-term experience in implementing statewide renewable energy and energy efficiency programs and working with affordable housing owners and tenants to maximize participation and community benefits. The SOMAH program was created by California Assembly Bill (AB) 693 introduced by Assembly Member Susan Eggman (District 13, Stockton) to help California meet its climate goals, reduce energy bills for low-income residents and ensure that clean energy infrastructure isn’t just for the wealthy. The largest investment of its kind in the nation, it provides up to $1 billion over the next decade from five of the state’s investor-owned utilities’ greenhouse gas cap-and-trade auction proceeds to fully subsidize 300 megawatts of solar photovoltaic (PV) panels on affordable multifamily properties throughout the state by 2030. To receive SOMAH incentives, the property must either be in a designated disadvantaged community or have at least 80 percent of its households with incomes at or below 60 percent of the area median income. The CPUC estimates more than 3,500 multifamily affordable properties across the state qualify, encompassing nearly 255,000 individual households. AB 693 requires SOMAH projects to provide at least 51 percent of the clean energy produced from a PV system to tenants to reduce their bills. It allows each household to receive a utility bill credit for a proportionate share of the energy generated by the building’s system under a utility tariff called virtual net energy metering. The SOMAH program is expected to launch in late 2018. In the interim, the SOMAH team will establish program guidelines, a handbook for property owners and contractors, training programs and a web-based bidding portal. For more information and to sign up for SOMAH program email updates, visit CalSOMAH.org.